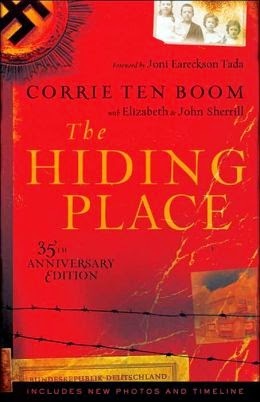 Earlier this year I started reading again, and one of the first books I picked up was The Hiding Place, recommended to me by my friend Meisha. I had no idea what it was about when I started, but I quickly learned that it was something magnificent. When I finished the book, I felt so inspired to be a better person. Everything that Corrie ten Boom went through, everything she did, everything she saw, everything she survived, everything she risked, everyone she helped—it's incredible. Definitely my new favorite book.